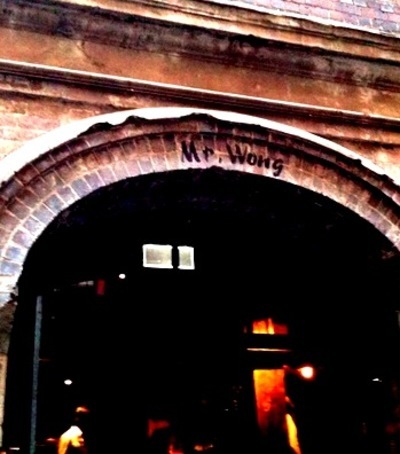 Nestled deep in the old laneways of The Rocks, I uncovered the mysterious Mr Wong. While it may be somewhat difficult to locate as the entrance melds into the more than century-old brickwork, it is well worth the trouble. I went to Mr. Wong's with no prior knowledge of it, but after having spent a luxurious lunch there I can see why its dedicated patrons want to keep this little gem to themselves. Mr. Wong is a Cantonese restaurant located on Bridge Lane that opened in 2012. Since then, it has gotten many accolades from some of the biggest names in the Australian food industry. 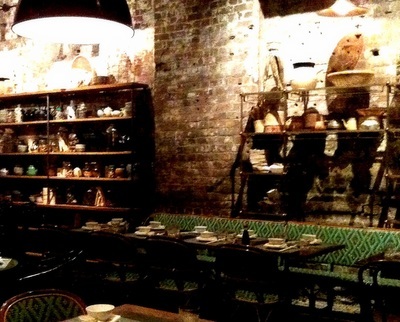 This restaurant is so good that in addition to having won awards such as 2012's Best New Restaurant and the 2013 Sydney Food Award, it has also already taken out a collection of awards for 2014. Mr. Wong Head Chef, Dan Hong has also appeared several times on Australia's Masterchef as a mentor and judge. Mr. Wong has created a wonderful dining experience for their patrons by focusing on their menu, décor and service. While Mr. Wong doesn't offer yum cha, it does offer a wide range of dim sum so sharing plates are still an option. Having tried many of the dim sum at Mr. Wong, the differences between the authentic Cantonese meals served here, and the more Westernised versions of Chinese food, are huge. I would definitely recommend the poached Szechuan pork and asparagus wontons ($15), steamed rice rolls with prawn ($13) and of course, the BBQ pork buns ($9.80). I always try the BBQ pork buns at any Chinese restaurant I dine at, but those sampled at Mr. Wong were exceptional - light and fluffy buns with a smooth BBQ pork mix inside. Although it may not be one of the more well-known dishes, you should also try the pork soup dumpling ($12). This dumpling is first filled with soup, followed by the meat and then pinched closed. Careful though, these soup dumplings can, and usually do, get messy. Pork buns - pinched to perfection. Each of the dim sum plates at Mr. Wong consist of three dumplings and average around $9 per plate. While this may seem pricey for a few wontons, in comparison to similar Sydney City eateries, the prices are quite reasonable, and the quality and flavour here is top notch. The muse behind the magic? 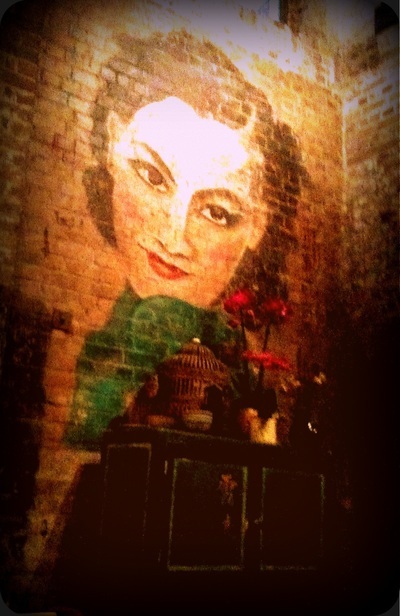 The décor at Mr. Wong combines industrial and traditional provincial design elements. This two-storey establishment can accommodate 240 table settings, with a few tables even available in the kitchen. If you aren't interested in sitting quite that close to the chefs, there are plenty of tables from which you can view the kitchen staff delicately folding wontons and rolling the duck spring rolls. If you venture downstairs, you will discover the biggest wine collection I've ever seen and seating for large groups. On the lower floor there is also a door that leads to the popular speak-easy, Palmer & Co.
Two floors is twice as nice. I found Mr. Wong completely worthy of all the recognition it has been receiving. It is a restaurant that takes good care of its patrons, which can't be said for many others these days, and pride in their food. The only thing I found a little troublesome was that as these are true Cantonese dishes, deciphering the menu is a little hard. Really, you just jump in and hope that you've picked some tasty dishes. **Cost: Dim Sum menu from $9.80, regular menu from $4.